High performance VirtueMart Hosting featuring 300% faster hosting than the competition on our SwiftServer SSDs! A2 Hosting is even a Global Joomla Sponsor and their 24/7 Guru Crew Support team will install VirtueMart for you! Tárhely szolgáltatások korlátok nélkül, elég csak a méretet kiválasztani nálunk. 2GB webtárhely már 4900Ft-tól. Tárhely korlátok nélkül? Nálunk lehetséges, elég csak a tárhely méretét kiválasztani, a többi miatt nem kell hogy fájjon a feje. 2GB webtárhely már évi 4900Ft-ért. 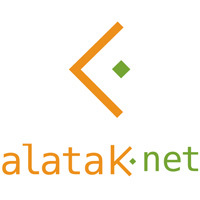 alatak.net is a Joomla and VirtueMart expert since 2004.
alatak.net is a French web agency specialized in web development for ecommerce. Our goal is to improve the quality and the ergonomic of e-commerce website with new extensions and development for your website. The company exists since 2004 and our experience with Joomla and VirtueMart allowed us to be expert in this domain. The expertise of Valérie Isaksen, the founder of the company, definitely help for the writing of her first book for those who begins with Joomla and VirtueMart and want to create their own e-commerce website. Indeed, Valérie has a strong presence in the VirtueMart’s community. She was VirtueMart’s project manager from 2011 to 2014 and continue to be involved right now by animating the French community via virtuemart.fr and as the French language project manager. We can also be a part of your project by helping you with your web development. Feel free to come and contact us at our website. Arvixe is the leader in web hosting and a Joomla Partner! Arvixe offers a wide range of hosting services including Shared, VPS, Dedicated and Cloud hosting. We also specialize in Joomla hosting and are a sponsored partner of Joomla. Get a FREE domain for life when you sign up today! Avalara provides our mutual clients with sales tax automation software, helping businesses achieve compliance related to sales tax, VAT, excise tax, and other indirect taxes. Founded in 2004 with the desire to make transactional tax management easier for businesses of all sizes, Avalara is now a top-rated technology company with tens of thousands of customers globally and hundreds of world-class partners. Avalara’s cloud-hosted Software-as-a-Service solutions streamline and simplify the complicated and burdensome activity of managing tax-related activities including rate calculation, exempt-sales management, returns filing and a host of other requirements. Avalara’s software is pre-certified to integrate with hundreds of leading accounting, ERP, and ecommerce business platforms, making it compatible with virtually all business systems and an affordable and attractive option for organizations of all sizes and types. Tens of thousands of companies, including some of world’s most recognized brands, rely on Avalara to process millions of tax transactions daily, file hundreds of thousands of transactional tax returns annually, and manage millions of exemption certificates and other compliance documents. Avalara is a privately owned company headquartered on Bainbridge Island, WA with offices in seven U.S. states (Washington, California, Virginia, North Carolina, Pennsylvania, Texas, and Wisconsin), England and India. Visit www.avalara.com for more information.